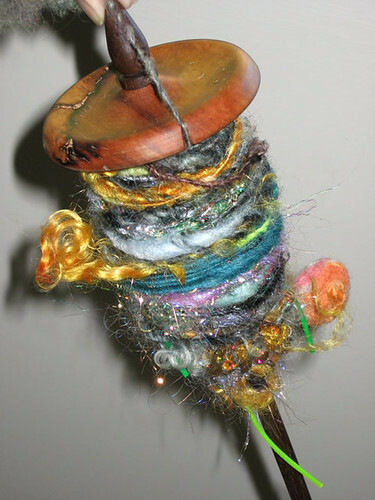 spindles and textiles, oh yeah! well, no secret that i love textiles and textile tools. my calendar arrived today, and i love it - if you feel like checking it out, it's here. i picked out the wrong calendar last year - couldn't find the buddhist icon one that i usually purchase, so picked up one that i thought i'd like. seems like a small thing, but the photographs of blue heelers - much as i like those dogs - just wasn't the right thing to look at day after day. 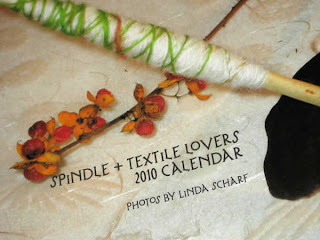 i wanted to see images that i really liked, so this year it'll be all spindles, all the time. I love sharing my interests, and teaching is one way to do that. When people get together over shared enthusiasms and start to play and experiment, I can pretty much guarantee that it's going to be a great day. 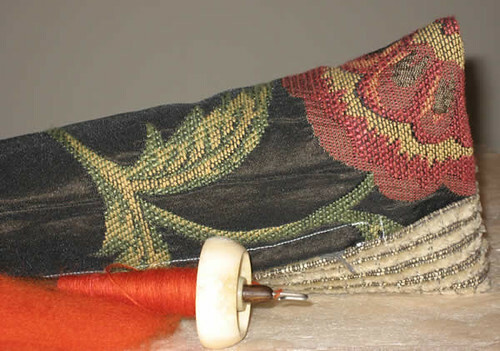 On that note, if you or someone you know is interested in learning, I'm teaching a couple of spinning workshops and one crazy quilt session in Boston this Spring. If you want to give someone a gift certificate for the classes, email me (stoneleafmoonATgmail.com), and I'll send a nice card to let them know about your gift. If you want to register, you can find links below. Thanks! 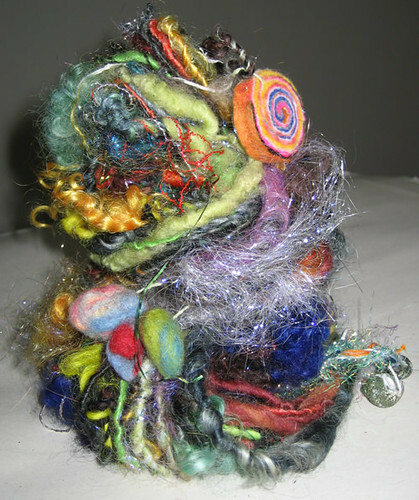 This one is all about creating experimental yarns, using spindles to do so.